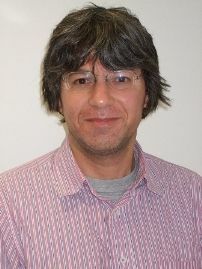 James Nazroo is Professor of Sociology and Director of the Cathy Marsh Centre for Census and Survey Research at the University of Manchester. He initially trained at St. George’s Hospital Medical School, where he obtained a BSc (medical sociology) and MBBS, then studied at Royal Holloway and Bedford New College for a MSc in Sociology of Health and Illness, and finally studied for his PhD in Sociology at UCL. Before coming to Manchester, he was Professor of Medical Sociology in the Department of Epidemiology and Public Health at UCL. Issues of inequality, social justice and underlying processes of stratification have been the primary focus of his research activities, which have centred on gender, ethnicity, ageing, and the intersections between these. His research on ethnicity has largely been concerned with ethnic inequalities in health, with an initial focus on describing differences in health across and within broad ethnic groupings and assessing the contribution that social disadvantage might make to these differences. Central to this has been developing an understanding of the links between ethnicity, racism, class and inequality. This work has covered a variety of elements of social disadvantage, including socioeconomic position, racial discrimination and harassment, and ecological effects. It also covers a variety of health outcomes, including general health, mental health, cardiovascular disease and sexual health. He has taken an increasing focus on comparative analysis (across groups, time and place) to investigate underlying processes, involving collaborations with colleagues in the US, Canada, Europe and New Zealand – as well as the UK. Recent work has compared outcomes for Caribbean populations in the US and UK, ethnic minorities in the Netherlands and UK, access to health services in the UK, Muslim populations in Europe, and mixed ethnicity children in the UK. James Nazroo joined CReAM as an external fellow in July 2010.